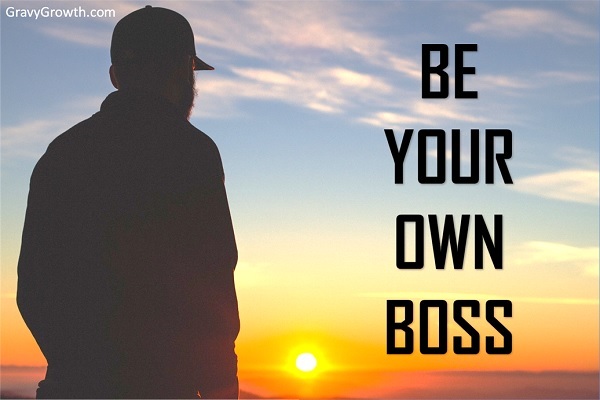 I’ll start my first entrepreneurial blog post by telling you about my entrepreneurial spirit. And I’ll present you with some good insight along the way. Having an interest in writing, much experience with small business, and a desire to get that gravy train rolling again, GravyGrowth.com is a good platform to assemble and communicate the entrepreneurial knowledge and experience I’ve gained over the years. 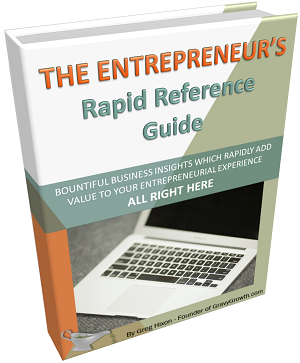 Let me begin by writing about my entrepreneurial background a bit and then I’ll provide you with some helpful entrepreneurial insight which has contributed to my successes. I have a degree in electronics. Most of my career has been spent working in digital and analog electronics engineering. My corporate experience, primarily at Intel Corporation, hasn’t really lent itself to my entrepreneurial spirit, or my idea of gravy growth. Retirement savings, bonuses and company stock are nice, but they’re limited and slow. In the corporate world, you need a good career path for moving up the corporate ladder. And, you must play your cards right to achieve those upper positions. Although I think stability is nice – having a steady paycheck, good benefits and career development options – it limits my ability to really grow the gravy. Hard work ethic and laser focus are my strong-suites, so the idea of making money on the side and being entrepreneurial is very appealing to me. I know I have what it takes to be entrepreneurial. Typically, one must dedicate all of their time and energy, at least at first, in order to successfully launch a business and get it off the ground. I’ll detail the many ways this can be done, having started and operated successful small businesses over the years, both part-time and full-time. It’s my belief that you can successfully develop income streams, and side-business opportunities, while working full-time. I also believe that these additional sources of income will provide a safety-net in the event of a layoff or any other form of job loss. There’s no way around the need to dedicate much time and energy into any new venture in order to be successful. The good news is…there are many entrepreneurial opportunities that exist or to create which can grow the gravy, whether you work full time, or not. My first entrepreneurial venture was building custom furniture, on the side. 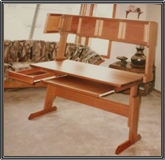 Woodworking has been a hobby of mine for many years, and design has always been in my blood. After setting up my woodworking shop by slowly acquiring tools, books, and skills, I started designing and building my own furniture. After a while, I built my own dining set, sofa set tables, a wall unit, and outdoor furniture. People in my life started asking me to build furniture for them. So I made a few pieces for neighbors, colleagues, and friends. Then I found it was very hard to make a profit. Too much time was required for design and construction. I had all of the tools and skills, but building one unit at a time was a very slow and cumbersome process. Finally, I had the idea to build a unique Scandinavian style computer desk. In the mid 1990’s, Scandinavian furniture was trending big-time and furniture stores that carried this style charged a very high premium. Elegant, simple, adjustable, and modular, the prototype was a small hit. I simply placed an ad in the newspaper, asked the callers to come take a look, and I took orders. My entrepreneurial juices are starting to flow! After tooling my shop to produce five desks at a time, production style, this venture made me some real money. After a while though, I lost interest in running a woodworking business. I discovered that the difference between leisurely woodworking as a hobby, and being a woodworker by profession was extreme. The enjoyment I gained from working with my hands, crafting something out of wood, was lost. It turned into long, fast-paced hours of hard, dirty work. Selling items on eBay became my next entrepreneurial side-business venture. After discovering my talent for understanding what certain items are worth, I combined that with my uncanny ability to buy things for much less than they are worth. Then I started buying stuff and selling it on eBay. I found two good sources for things to sell on eBay: Garage sales and stores that carry items with in-store or mail-in rebates. Garage sales were an integral part of my Friday and Saturday early morning routine. At these garage sales, I would buy items like power painters for $10, printers for $5 or even a gas fireplace for $60. A power painter would sell for around $85 and that fireplace sold for $650. 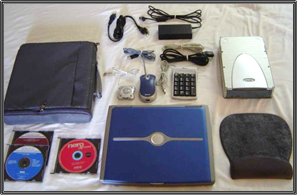 Hitting those garage sales, I would load my car with stuff, take it all home, test and clean each item, and post everything on eBay. Sometimes, for large items, I would post an ad in the newspaper, which is another effective way to sell stuff. At stores like Office Max, I would buy, for instance, computer hard drives for $59.99 with a $30 to $40 rebate and then sell them for the $60 or even more if that $59.99 price was a sale price. One time, I purchased a high-speed CD/DVD writer for 79.99 with an $80 in-store discount. Yes, it was free. I purchased (for free) three of these, one from each of three Office Max locations, and sold each of them for around $80 on eBay, still new in the box. There were always other items too, so I made out very well, most weekends. My entrepreneurial spirit was fulfilled! My profit margins were always high, but there were important factors which allowed me to accomplish this. eBay rating was the first and most important factor, in my opinion. I consider customer service to be king, so ensuring each customer is happy was always paramount for me. Ads always needed to contain thorough and accurate details. I ensured items were portrayed and displayed accurately, and honestly. Describing and displaying blemishes, responding promptly to questions and being courteous, all made a huge difference. I would also give full refunds without asking for items to be returned in most cases, if there was ever an unresolvable issue. This type of customer service allowed me to maintain 100% positive feedback at all times, along with receiving many, many positive comments. Consistent, positive feedback really increases the price people will pay for an item from you. Also, more people will pay attention to your ad and provide you with more bids. More bids, more money! Getting positive feedback after selling a faulty item, when it was an innocent error, looks even better…as long as it has only rarely occurs. Believe me…when a customer posts “Item had an unseen fault, so the seller refunded in full without making me return the item. I received fast and friendly responses to my questions” actually helps more than “Item arrived fast, and as described.” Again, as long as it has only rarely occurred. All good feedback helps potential customers feel better about what you have for sale. Item readiness is the second on my list of important factors to maximizing profits. I fail to understand, yet always experience seeing used products for sale that are dirty, scratched, and poorly displayed. You need to inspire customers to buy items, no matter what, if you want to maximize profits. I purchased a nice used pair of shelf speakers for $5 once. They worked great, but the wood finish was worn and scratched. 20 minutes with some sandpaper, and a rub of Danish oil, and they looked new. Those speakers sold for $90! For other types of items, a black permanent marker will do wonders removing scratches. Take the five minutes to mark the scratches, making them disappear, and get $20 or $30 more for the item. Good payoff, right? Always clean, and de-scratch items before listing them. Good presentation of items for sale makes a huge difference in profitability. Display them with all parts neatly placed together. Use a backdrop, like a blanket or a panel, and place it behind and below the items for a clean, attractive presentation. On eBay, many auction items are shown in messy bedrooms with stained carpet. This is not very appealing, in my opinion. You don’t need to be a professional photographer to get an appealing photograph of the item you have for sale. I can’t count the number of times I purchased items on eBay that were photographed in dirty bedrooms with poor lighting at a very low final selling price. After receiving the items, I cleaned them with glass cleaner, shot good pictures of them, and re-sold them for twice what I paid for each one. Some common sense, and a willingness to put in the extra five minutes to make it look nice, allows for a much higher final selling price. Another factor to keep in mind when trying to maximize profit is the ad effectiveness. When selling a used item, even if it’s in new condition, you don’t need frills and decorations in the ad. During my years of selling items on eBay, I was always able to get a higher price for equal items as compared with other sellers having the same seller rating. My eBay auctions always maintained a simple, black and white, bullet-listed ad, with maybe one detail in red. I presented everything neatly, with much white space and organization. That was it. All details should always be placed in the ad in a manner that’s easy to read. Lastly, shipping efficiency really contributes to increasing profits. Acquiring free boxes from stores and using cheap packing materials like crumpled plastic grocery bags reduces shipping material cost. Developing the ability to make custom boxes or custom cardboard framework to suspend items inside the box really keeps shipping quality high, and shipping cost low. I kept a table and a supply cabinet just for shipping, which ensured my readiness to ship items quickly, no matter the size or shape. Also, by weighing the items myself and purchasing postage online which I printing out, I was able to leave my items outside for the postman to pick up each day. No need to drive to the post office. Shortly after my first marriage of 10 years had ended, I was also laid-off from work following the DOT-COM economic crisis. Tech jobs had dried up at that time. Cabinet-making became a plan B job for me since I had some good woodworking skills under my belt. I knew this would be very hard, dirty work, but I needed to pay the bills and survive. Plus, cabinet making provided a respectable income. Two similar businesses in the same region – one had failed! 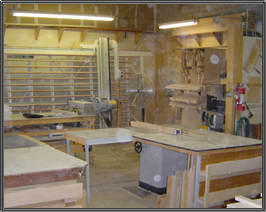 During my time as a cabinet-maker, I worked for two cabinet shops. The first shop was run by a strict, clean-cut, well-rounded owner. He always made his cabinet-makers stop building 30 minutes before the end of each day, just so they would clean up the shop as a group and report their progress. Each cabinet-maker built an entire cabinet set for a single customer, independently. Workmanship standards were high, and the owner would occasionally walk the shop, checking the quality and speed of each cabinet-maker’s work. This shop owner had high-end customers that paid very high premiums for custom cabinets. I was impressed with the demographic this owner was able to cater to…very wealthy clientele. Finally, I made it back to electronics engineering. This time, only as a contractor, but I was working at Intel Corporation again. The manager knew who I was from my past position at Intel, and he had received good feedback from my previous managers there. That always helps! Although the entrepreneurial spirit is in my blood, I know that I can use my primary skills to make a good living at a good company, and get fulfillment from it. Always be responsible, and never be a bum. You may be in need at some point in your life, and that can happen to anyone, so do not be ashamed. But, pull yourself out of that ASAP, and get something solid going that will get you back on your feet. Always apply yourself and be disciplined. You’ll achieve what you’re going after, if your goals are reasonable and you continue to set your short-term goals higher as you go. Stay focused on the prize…your long-term goals. You’ll find that if you take the time, and take each step, one at a time, tracking your progress, you can get ahead of your competition. Most people don’t fully apply themselves and are undisciplined, so your competition is usually easy to beat! Time for the real entrepreneurial challenge! Six months after getting back on my feet, while working at Intel again, I decided to start a business for my father. To help him out, I wanted to provide a way for him to acquire piano lesson students. Having a degree in music and over 30 years of experience teaching piano and organ lessons, he was somebody I could really stand behind, knowing the product, piano lessons, would be top-notch. Growing up, my father was affiliated with a large piano and organ company with multiple locations. Not only did he get commissions from selling, but he also maintained a nice stream of new students coming in. He taught piano lessons for well over 40 hours each week. Most students lasted for years, and he always had replacements for those who stopped the lessons. Unfortunately, after that company went out of business, the stream of new students had stopped. Word of mouth marketing just was’t enough to replace all of the students he lost from attrition, years later. Not all geniuses, like my father, have good business sense, AND, I am certainly not a genius! The idea was to set up a web site, create business cards, flyers, pamphlets, and signs, and get them all out there. I asked my mom to make cold-calls during the day, while I was at work, to find a location for my dad to play his portable piano and attract students. There, he would have “Piano Lessons” signs up, materials to hand out, and a log sheet to write down leads to call later. It worked. She lined up an entire chain of fine-foods grocery stores, where my dad could play outside, under the awning, near the exit, in an elegant seating area with an espresso bar. My mom would frequently join him, to help get leads while he played, but he was pretty effective at reeling them in when he was alone. This turned out to be an effective way to get new students. My thought was, if you drive a BMW or a Range Rover, and if you live in one of the nice neighborhoods surrounding the location, you probably have a nice piano and want to put your kids in piano lessons. The entire parking lot was filled with nice cars. These higher-end stores also had occasional wine tasting evenings, where they required a piano performer. Done! My father had a roster of students that kept him busy, full-time. Also, he had performances lined up, not only at the store’s locations on occasion, but also at parties, where wealthy people needed a back-yard or in-house piano performer. That does not even include the many tips he received while performing! I was really on to something with this. Three months after starting the piano teaching business, my contract at Intel had ended, and my manager was forced (against his will) to let me go. Wow, this was my first opportunity to run a business FULL TIME! I immediately placed an ad for piano teachers in the newspaper and stepped up my advertising to grow the business. I performed the preliminary interview of each piano-teaching candidate to screen them. Although I know almost nothing about music, and I don’t play the piano, I did know some key questions to ask. Plus, I wanted to make sure the candidates would fit into my business model. After that, my father, the senior piano teacher, would provide the technical interview to ensure any new teacher met his standards. He determined if they were one of the best piano teachers in the city. High standards. I single-handedly changed the way piano teachers operate, at least at my company. Typically, teachers receive a single check, for a single lesson, provided the student shows up. This is unreliable and insecure. First, I set the hourly rate slightly higher, since I provided the best teachers and I catered to wealthier clientele. Then I completely changed the paradigm…monthly payments for piano lessons. Next, I had the wild idea of requiring new students to pay first and last month when they signed up for lessons. This ensured that 30-day notice would always be given when students chose to quit. Now I had the time to fill opening time-slots with new students. All of this was unheard of, according to the many teachers I spoke with over the years. While other teachers out there were charging about $30 for a one hour piano lesson, I charged $179.99 per month (4.3 one-hour lessons per month) which is about $42 per one hour piano lesson. Paying monthly ensures that any missed piano lessons will always paid for, protecting the teacher and the business from unscheduled truancy. With first and last month together, that up-front amount was $360.00 per student AND a signature on a contract was required, just for piano lessons! No way! My piano teachers needed lessons on how to become good sales people. With the first piano lesson being free, that initial hour was a sales pitch to a potential client, not a student. Once a check was received, the potential client became a student. Also, I had various products and services to sell. 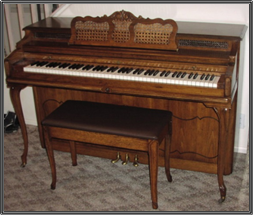 Pianos, electronic keyboards, music books, piano tuning and piano repair were all provided by my company. During the time I was in business, there was never a piano that didn’t need tuning. The teacher always had an electronic keyboard on-hand, so they were able to show the client just how out-of-tune their piano was. Set the electronic keyboard on top of the piano and compare notes to hear the tonal differences between each key pressed on the keyboard and piano at the same time. Clearly out of tune! What a sales tool, right? The teacher received commissions for selling these products and services…the entrepreneurial up-sell. Being a confident and effective deal closer, I understand what it takes to sell, and to get that check in hand, BEFORE the customer leaves. I told my teachers to not look at the situation as something personal. This is business, and the piano lessons are a paid service. Think entrepreneurial! A personal relationship may develop, but only after the potential client becomes a paying student, so don’t be afraid to put it on the line. Statistically, in almost all industries, if you don’t close the sale after making contact with a potential client, you will probably never hear from them again. At least get a good-faith small deposit before parting ways, since you will be reserving a time-slot for them in your schedule, which has great value. In order to develop good sales people in your company, first you need good materials. Attractive, professional marketing materials make the initial entrepreneurial difference. A good web site, business name with logo, a good tagline, and easy to understand marketing statements all act as fishing lures to get good bites from potential customers. Keep in mind, that they don’t know who you are, so resist the temptation to make your business name and logo stand out too much. What’s your primary product? 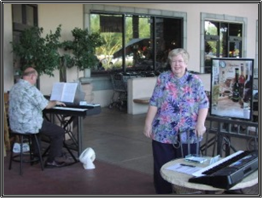 My product was piano lessons, so those two words were always seen first when my marketing materials were viewed. Credibility and value need to be conveyed next, after somebody shows interest in your product…the steak. Then, as a nice garnish, you have an attractive business name and logo. Entrepreneurial gravy will then begin to flow. After making entrepreneurial connections in town, I lined up sources to purchase pianos very cheap. First, I quickly educated myself on piano brands and manufacturers, so I knew what I was dealing with. Then I went shopping. Most of these pianos were scratched and out-of-tune. They looked bad and they sounded bad. If the core functionality was there, and the outer finish problems were only superficial, I would buy these pianos for $150 to $350, typically. There were a few high-end piano deals for thousands of dollars, but I mostly sold nice, inexpensive pianos. Then, after having my piano technician tune each piano, I would lightly sand it down and then rub on a new coat of Danish oil. Even deep scratches disappear, since the Danish oil soaks into them…staining and sealing. With a new finish that only took about four hours of my time, and a nice tuning, which only took about two hours of my piano technician’s time, I would typically sell each piano for about $1500. My father knew how to move pianos efficiently and easily, having had so much experience with this when I was growing up. So he taught me the tricks of the trade. I built a very strong piano dolly, purchased a small enclosed trailer, and off we went. We were able to add piano-moving to our repertoire. If we received a call for a piano, and we didn’t sell it, we would always tell the caller to call us back when they find the one they want…we would pick it up and deliver it! I learned to use every contact I made, my entire professional network, to make extra money in some way or another. Entrepreneurial! After filling the teaching schedule of seven piano teachers with students, I came up with a new idea…group lessons for beginners. Why not cut the rate in half to attract more students, and teach five to eight students at the same time, all in one room? This model works for beginners since everyone needs to learn the same thing at the same time at first…fingers, keys, notes, and simple songs. What a way to greatly increase profits, right? As it turns out, in most cases, group lessons are even more effective, since the students get that support from other beginners. Then, after two, 8-week group lesson sessions (yes, that is almost four months of commitment), you can glean many private students who want to advance, and learn specific styles of music. I quickly rented a nice strip-mall location, built two group-lesson rooms, two private-lesson rooms, and a nice large office space for myself, which included some space to re-finish pianos. Entrepreneurial, right? After purchasing about 100 61-key electronic keyboards for under half the retail price, I set up the two group lesson rooms with eight keyboards in each. Then, the remaining 82 keyboards were for sale. Being a do-it-yourselfer, I even designed and build PVC pipe keyboard stands and painted them, to sell with the keyboards. I was having all kinds of entrepreneurial fun! Unfortunately, after four years of growing this business full time, the great recession hit hard, causing people to stop their piano lessons in droves. Having a strong entrepreneurial spirit, I fought hard, trying everything I could to stay afloat, but my piano-teaching business had failed. That was a sad time for me, since running this business was more fulfilling than any other job I have ever had. I am now happily back working at Intel Corporation, where I have been full-time for almost four years. I work in a group that provides an important core competency deliverable that I truly enjoy being a part of. Developing my career in electronics and performing at 100% are my top priorities right now, and it will continue to be, long-term. That being said, I am ready to start something new on the side so I can grow the gravy. Having an entrepreneurial spirit, I will find some new income streams from one or many sources, and develop them successfully. There are too many opportunities out there to just spend my free time sitting at home, watching TV. 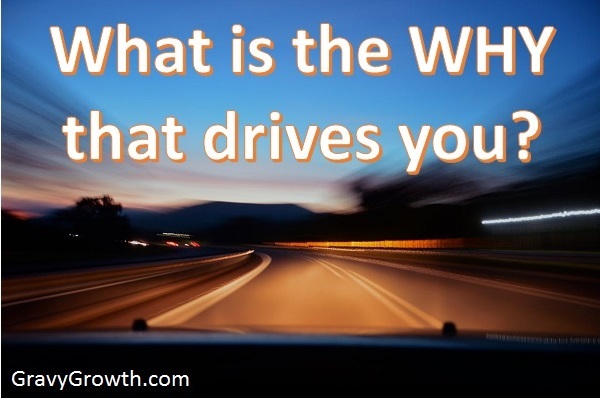 Now that I have divulged most of the high-level details of my entrepreneurial life, along with some personal ones, I’ll now deliver some good posts that are very important to me. I look forward to showing what it takes to be successful, regardless of the venture pursued. Also, I plan to post many, many ideas containing ample depth on ways to grow the gravy…full-time or on the side. GravyGrowth.com will be organic, as I post in detail my next ventures. I’ll show both successes and failures as I go. And, I plan to post often, so stay tuned for some more good stuff! You are so interesting! I don’t suppose I have read a single thing like that before. So great to discover someone with original thoughts on this subject. Seriously.. thank you for starting this up. This website is something that’s needed on the web, someone with a little originality! Thank you Patricia, for your nice thoughts. Made my day! I do wish to really put myself into this blog as I try to share some relevant entrepreneurial insight. I just started a “Topic Suggestions” page if you have a topic you’d like to see me cover in a future article. I hope my blog continues to provide value…thanks again! Having read this I believed it was rather informative. I appreciate you spending some time and effort to put this content together. I once again find myself spending a lot of time both reading and posting comments. But so what, it was still worthwhile! Thank you Patricia for your feedback about My Entrepreneurial Memoir. 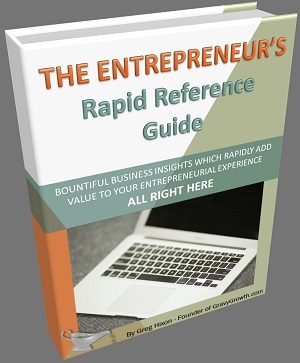 I truly enjoy preparing content that will help entrepreneurs by providing comprehensive information. Worthwhile for sure!